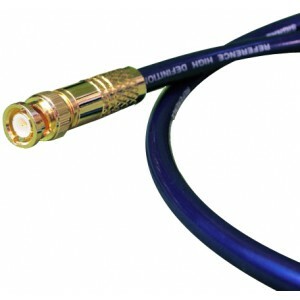 Ecosse 'The Director' is arguably one of the finest interconnects available in the entire Ecosse digital cable range with unique MACH2Ag RCA termination. 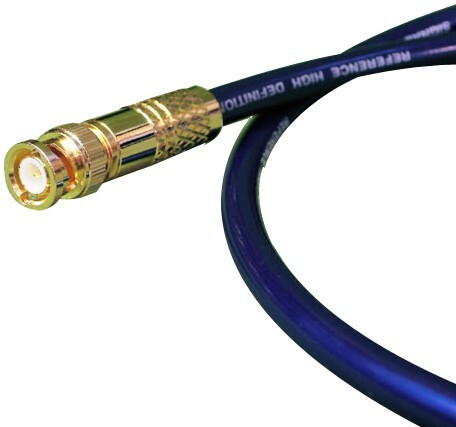 Ecosse Director SE RCA Digital Cable was designed as a no-compromise true 75ohm digital interconnect transferring music to components with least colouration for better clarity, detail, resolution and dimension. Ecosse uses award-winning ultra pure, grain free Monocrystal conductor for both 'going' and 'return' signal - paths, coupled with unique Monocrystal MACH2Ag RCAs. The centre conductor is multi-stranded OCC copper in a polyethene primary dielectric together with a foamed polyethene dielectric that separates the central conductor from the outer tight woven multi-stranded OCC copper (return) conductor. A ‘separator’ of Conductive PVC completes the internal construction. Thus the signal is protected from EMI/ESI/RFI noise ingress by both the Conductive PVC shield and the Monocrystal Cu close-lapped braid screen resulting in a smooth-as-silk digital signal with no 'roll-off' in high frequencies distinguishing it from inferior digital cables. It is vital that quality digital cable closely matches the ‘characteristic impedance’ (75ohm) of the digital signal- this being the most important concern of digital signal transmission. Of near-equal importance is ‘capacitance’-which must be kept as low as possible. The topology of 'The Director MD2 SE' digital interconnect is carefully controlled to match these required specifications. High-end system owners of DAC/ transport setups, or audiophile level AV systems are recommended to audition 'The Director' if they require breathtaking dynamics and are passionate about getting as close to the action as is humanly possible. The terminations are part of the transmission path and therefore vital to it. Where a digital signal is concerned, the audio industry has set a standard of 75ohms but this can be severely compromised by poor, compressing RCA plugs that grip the cable with a grub screw or a collett action. The cable loses its integrity and the impedance can drop to somewhere in the region of 35 Ohms resulting in reflections and deletions. Ecosse's newly developed unique non-compressing constant impedance MACH2Ag deep silver plated RCA plug uses a centre pin and conjugate bracket shield which together offers away and return paths for the audio signal. To maintain continuity and optimum conductivity, these contact points are made from Monocrystal copper - same as the conductor wire itself- which are then direct hard silver plated. 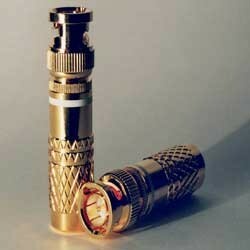 The plug casing is precision machined from highest quality copper alloy and is deep-plated. This thick casing offers further shielding effectively a second 'Faraday Cage' and reduces the ingress and radiation of EMI, ESI and RFI 'noise' even further, to virtually zero. The interface of shield and casing is one of high mechanical impedance, dissipating energy and rendering microphonic effects negligible. The full assembly represents Ecosse's Audiophile Grade RCA termination for smaller diameter cables and the Ecosse MACH2Ag RCA is arguably the best available price wise, electrically, mechanically and aesthetically - anywhere!